World Aids Day, which falls on 1 December, will have “Know your status” as the theme this year, encouraging people to get tested, raising awareness about the importance of knowing one’s status and calling for the removal of all barriers to accessing HIV testing. This year also marks the 30th anniversary of the first World AIDS Day. The first day of December is celebrated as World AIDS day every year internationally to raise awareness about HIV/AIDS and to demonstrate international solidarity in the face of the pandemic. Each year, Joint United Nations Programme on HIV/AIDS (UNAIDS) sets a theme for the campaign. The theme for this year is important because a UNAIDS report states that 9.4 million people living with HIV do not know they are living with the virus and urgently need to be linked to HIV testing and treatment services. Despite tremendous progress, the AIDS epidemic is still at large, especially in India. 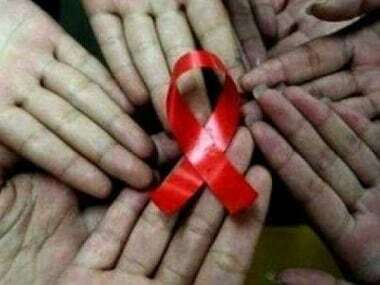 An estimated 120,000 children and adolescents aged 0-19 were living with HIV in India in 2017, the highest number in South Asia, according to a UNICEF report released on Thursday, ‘Children, HIV and AIDS: The World in 2030.’ The report warned that around 80 adolescents will be dying of AIDS every day globally by 2030 if progress in preventing transmission is not accelerated. The report noted that South Asia has made substantial progress in reducing HIV risks and vulnerability among children, adolescents, pregnant women and mothers. In India, an estimated 120,000 children and adolescents aged 0–19 were living with HIV in 2017. In Pakistan, this number was 5,800, followed by Nepal (1,600) and Bangladesh (less than 1,000). In 2017, the estimated number of children under 5 years old newly diagnosed with HIV was 43 percent lower than the comparable estimate in 2010 — a decline greater than the 35 per cent recorded globally. Currently, three million persons 19 years and younger, are infected with HIV worldwide. Two million new infections could be averted by 2030 if global targets are met this means providing adequate access to HIV prevention, care and treatment services, and testing and diagnoses. Further, the report cites a global target reduction in the number of HIV-infected children by 2030 to 1.4 million, while the projected number today of 1.9 million, shows that the world is off-track by around 500,000. The major shortfalls show slow progress in prevention among the young, and a failure to address the key drivers of the epidemic. Many infected children and adolescents are unaware of their illness, and even when tested HIV-positive, rarely adhere to proper treatment.